In Costume Chaos you must get into the groove of the costume rental business, helping customers dress for party success! Manage your time and hire assistants through the busy Halloween, Mardi Gras and Rodeo seasons as you place wigs, mustaches, hats and silly noses for cash. Strategize your shop upgrades as you travel around the world, helping customers look fantastic for their outlandish costume parties. And who knows? Maybe even The King himself will make an appearance. Costume Chaos is rated 3.5 out of 5 by 6. Rated 5 out of 5 by TWDgirl from One of my faves I remember loving this game years ago when it first came out so I was really happy to see it here and get the chance to play again. I still liked it just as much as I did back then! TM games are one of my fave kind of games to play and this one is a lot of fun. I love running a shop and decorating your store window, its not to hard and keeps you entertained!! Rated 4 out of 5 by RainyDayzGrrl from Maybe you aren't into selling costumes, but... 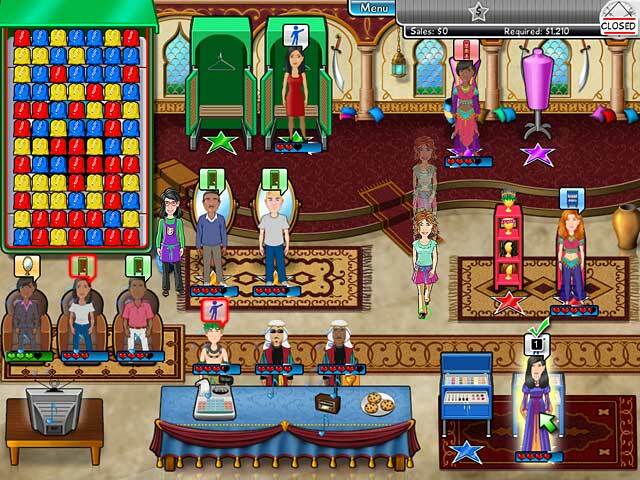 The gameplay style is the same as you'll see on games like Sally's Salon and other more recent types of gameplay. You make your customer smile by figuring out what they want, and you gotta hurry because you have plenty of customers. Running a costume shop was not really my cup of coffee, but it actually was pretty fun and I enjoyed the upgrades. At the time, there wasn't a whole lot of games that had the type of game play and the graphics are pretty nice also. I have to say I was really surprised and really enjoyed the game. Rated 3 out of 5 by WainwrightLover from It's just ok.. Not the most interesting game...kind of redundant. I feel like this is more suited for young kids. Rated 3 out of 5 by MomsLife from Surprisingly fun time management I was surprised at how much I enjoyed this game. 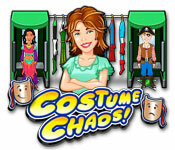 While repetitive, like many time management games can be, Costume Chaos gave enough of a challenge to finish in time without letting customers get angry to be entertaining. Graphics and sounds are good and the concept is solid. This game lets you move to a new 'place' after a reasonable amount of levels in one location, keeping it interesting. Worth it if you are looking for a relaxed time management game. Rated 3 out of 5 by Pucktweety from I'm on the fence! 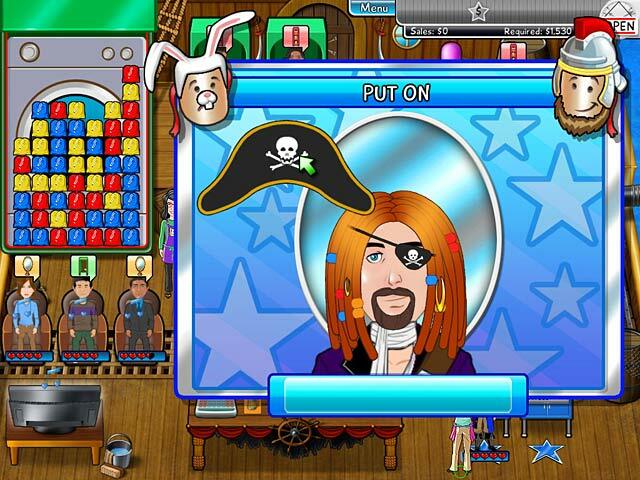 On the one hand I really enjoy this type of game which combines some sort of fashion/shop with a TM game, but on the other hand I really dislike the mini-game type thing on the side for 'returns' (something akin to a M3 type game) and the amount of effort it takes to measure someone, or change their hair type. I like simple click and do games, rather click, do a puzzle and then do games. This one was a little bit too much for me to do a simple task therefore it didn't keep my interest up enough for me to even finish the game. Rated 3 out of 5 by Luckyinluv from It was Interesting........., It was interesting but it wasn't really a fun game. Graphics were great but the gameplay is slow and it takes a long time to get challenging. I recommend it if you're bored and there's nothing else to do or if you like easy games, but not if you like fast-paced games.